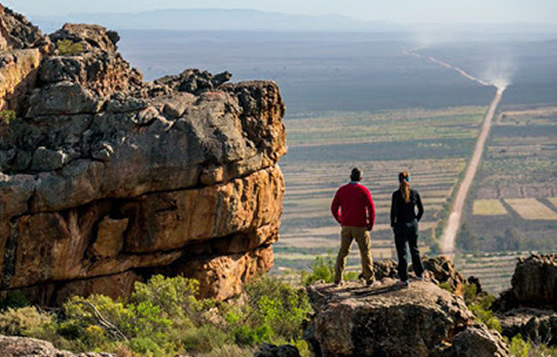 With the start of one of the world’s most prominent adventure races just weeks away, South Africa’s magnificent Namaqua West Coast region is all set for the arrival of athletes from 22 countries, including a host of local and international champions. The epic challenge to take place from 18-27 May puts global attention on a region known for its sprawling wilderness and incomparable hospitality. Adventure Racing World Series’ Expedition Africa sees teams of athletes race unsupported across more than 500km of arduous terrain, using disciplines including navigation, trekking, MTB, kayaking and mountaineering. A total of 52 teams will take part in Expedition Africa Namaqua West Coast this year with 20 international teams from countries including the US, UK, Russia, Switzerland, France, Japan and Norway lining up at the start. The balance is made up by South Africans from across the country, with top competitors Cobus van Zyl (Team Jabberwock) and Graham Bird (Team Merrell Mentored) amongst them. Well-known adventurer Peter van Ketz takes part in Team Grit Nyamezela with South African sports photographer Jacques Marais following and documenting every step they take. The event is presented by diversified mining company Tronox Limited and Namaqua West Coast Tourism in association with stakeholders Matzikama municipality, Namaqua Wines, Klawer Cellars and Lutzville Vineyards. It is endorsed by West Coast Tourism and provincial tourism, trade and investment promotion agency Wesgro. Expedition Africa is one of a series of premier qualifier events held annually around the world. The entrants comprise teams of four individuals – top endurance athletes competing for a chance to represent their country at the sport’s pinnacle showdown, the Adventure Race World Championship, since 2001. Each series qualifier devises a unique course to test the teams, which comprise men and women, for up to five days of non-stop racing. Courses are always kept secret until just before the start.